We are nearing the end of August, and that means it’s back to school time. Starting school can be an amazing, yet scary, time. Some of us might have started sports practice while others of us just wrapped up the 2018 Missouri State Fair. When I was in high school, this time of the year was always the most hectic for me. I would be wrapping up my showing at the fair while having volleyball practice, and on top of that I would be starting my next adventure in my blue corduroy jacket. So many scheduled tasks at one time challenged me to keep my focus on what I what I wanted my end result to be. The National FFA organization was always something that brought new and eventful activities toward the beginning of the school year. This was also the organization that helped me filter my focus and find out what was important for me. From the time I was a freshman and had the opportunity to say the creed for the first time all the way to my senior year when I determined I was going to make that final lasting impact on my chapter, I was focused on my end goal. No matter who you are or what grade you are going to be in, we need to stay focused on what lies ahead for us. Whether you are involved in competitive events such as Friday night football games or you are simply going to hangout with friends, stay focused on your one goal to achieve success. 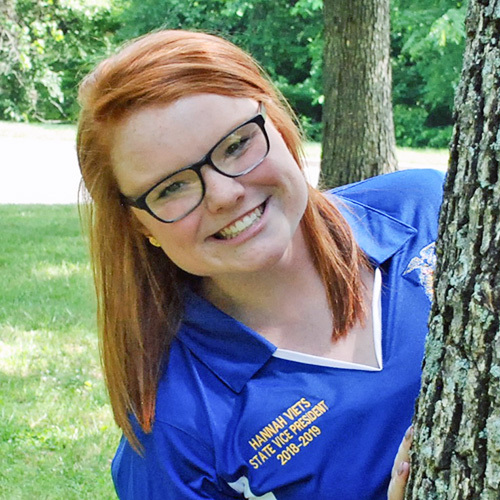 Camp Rising Sun, Lake of the Ozarks, Main Street Musical, and forever changing Missouri weather are all things that can be associated with State FFA Camp. These are all common experiences for camp, however, one particular interaction made FFA camp unforgettable for me. Colton Spencer was State FFA President when I went to camp. At the time, I was pretty reserved, but wasn’t afraid to be outgoing. Colton told me that to achieve the goals I had set for myself, I had to step out of my comfort zone and grow personally. He also took the time to get to know me and remember my name. His advice and interactions with me helped set me on the path to becoming the person that I am today. This year, I had the pleasure of attending weeks three and five of camp. Boy, were my expectations wrong! I thought I would be the one that did the teaching and inspiring; instead I was the one learning and being inspired! FFA members, you have a passion that burns in you like a fire; carry that into everything that you do! While I know I learned quite a lot at FFA camp, I hope you, FFA members, were able to build stronger leaders out of yourselves and others. Take all of the tools we identified back to your home and community and use them; don’t let them lie in the toolbox and rust away! We all have our own individual strengths. Yet, that doesn’t mean we can’t collect more from those around us and work together to form a more cooperative and efficient team. We are mighty alone, but incredible together! Be. Believe. Become. These simple but impactful words have hung above my bed and served as motivation for the past five years. I’m sure we’ve all heard the saying “Act like the person you want to become.”This is where “be” comes into play. Each of us has to take action in order to be the person we want to bein life. However, it isn’t enough to just act like the person we want to be, we have to “believe” we can achieve it. Positive mental images are critical in achieving goalsbecause what you think is often what you achieve! While it is always nice to have support from those that we love in our lives, we also have to be confident in ourselves and our abilities. We have to work for the goal and “believe” that we can achieve it. After we “be” and “believe”, it is natural for us to “become” the person we want to be or achieve the goals we have set for ourselves. Be. Believe. Become. It sounds simple. It’s just three steps to follow. We will always haveobstacles to face; however, we can prepare and limit the obstacles and eliminate the opportunity to react. By preparing, we are on the front end of a goal, guiding the path; when we react, we are behind, chasing the path, trying to play ‘catch-up’. FFA members, you can use this in your FFA career, school and vocation. Success will not be handed to us! We have to work for it each day. While we may not be able to control everything that happens, we can guide our path by preparing for success and going after it, instead of waiting for it to happen and reacting. Be, Believe, Become and write your own success story! What has FFA taught you? For alumnus Doug Kueker, his time in the National FFA Organization provided him with life lessons, skills and opportunities he uses every day in his career. 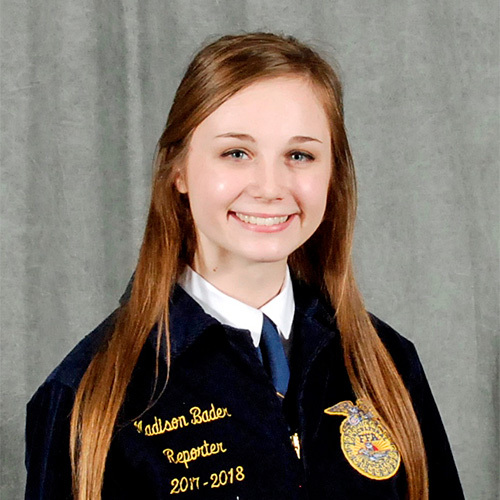 “My experience in the classroom, laboratory and through FFA helped me develop the skills and character traits everyone needs to be successful – communication, being a team player, positively influencing others, time management, responsibility and more,” Kueker said. Kueker grew up on a small cow-calf and row crop farm in Sweet Springs, Missouri. He was very active in his FFA chapter, served as Missouri FFA President and was later selected as a National FFA Officer. 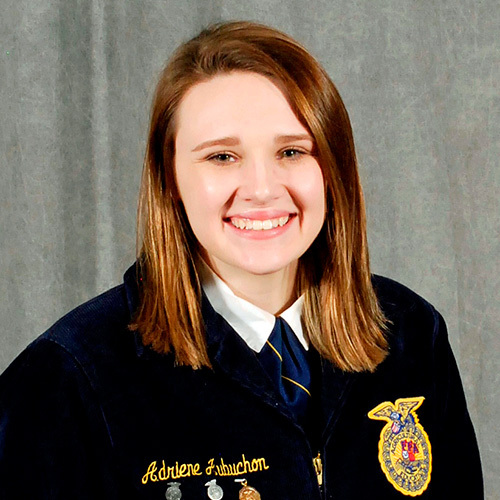 Serving as a state and national officer taught Kueker to respect the value of diversity and to seek to understand differences before jumping to conclusions. He was beyond honored to be selected by his peers to represent other FFA members at the state and national levels. “Both of these humbling experiences broadened my perspective about the diversity of the agriculture, food, and natural resource industry in Missouri, as well as across the U.S.,” he explained. Kueker’s journey as a state and national officer led him to experiences that he will never forget. His favorite experience as a state officer was traveling the state to Greenhand leadership conferences with his fellow state officers. 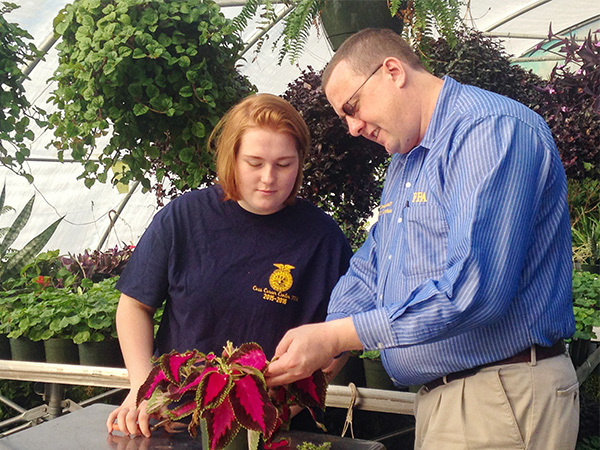 He enjoyed working with young FFA members and helping them set goals for their career and leadership development. Kueker recalls hearing progress from students he worked with a few years later, which he said was a very rewarding feeling. His experience as a national officer was also an inspiring venture for Kueker. He was humbled to represent members on a national level and see the passion members had for FFA. 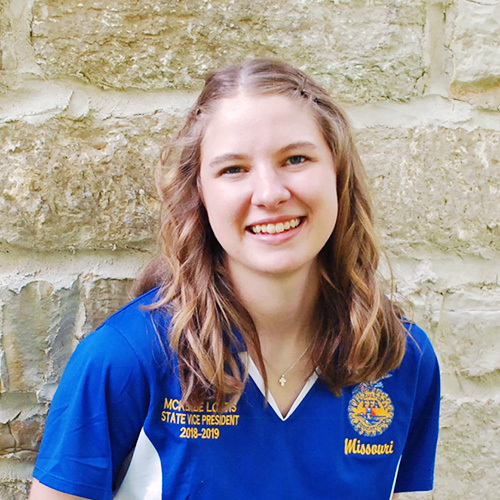 Kueker admits that being a state and national officer was hard work. It required passion and drive. He explained that to earn the right to represent other FFA members in this capacity, one should be prepared to spend time investing in building the knowledge and skills it takes to lead effectively. “Take time to reflect on what you have gained from FFA and why you feel it is important to encourage other FFA members to pursue their own development through the organization,” he said. In addition to his FFA honors, Kueker received his agricultural education degree from the University of Missouri. After graduation, he worked for the National FFA Organization, where he created curriculum for national student conferences such as the Washington Leadership Conference. Additionally, he generated curriculum for professional development experiences for agricultural teachers. 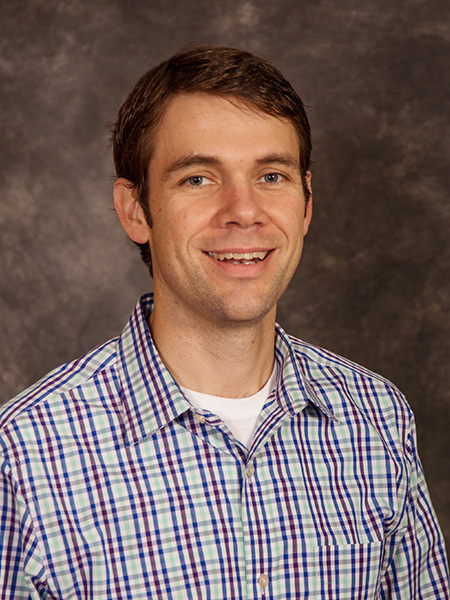 Kueker obtained a master’s degree in education from Purdue University and recently completed his PhD in Information Science and Learning Technologies from the University of Missouri. 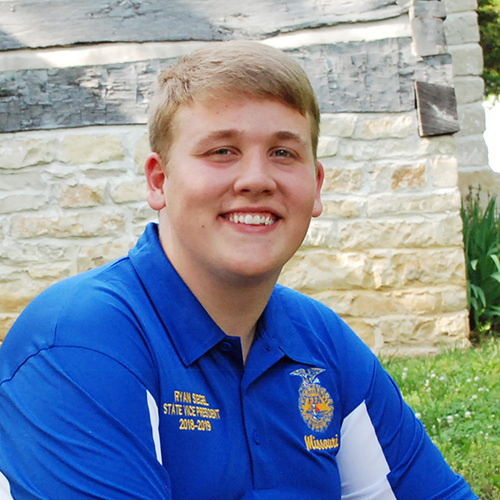 Through his accomplishments, Kueker credits the FFA organization for shaping his future. Plus, he said FFA taught him that hard work and perseverance pay off. 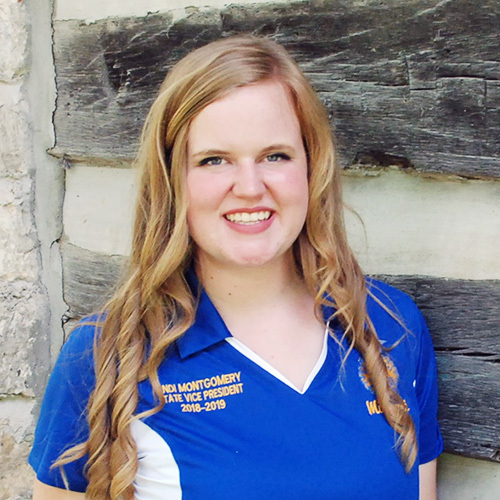 “FFA helped me set goals and explore and discover my passions and talents,” Kueker said. He has a passion for learning new things and developing others. An entrepreneur, Kueker took his passion and turned it into a successful business. His company, Vivayic, designs effective learning programs and educational materials that equip individuals with the knowledge, skills, and attitudes they need to be successful. It offers services such as learning strategy and analysis; curriculum and program design; education program evaluation; and e-learning and content delivery. Kueker continues to support the FFA organization today. 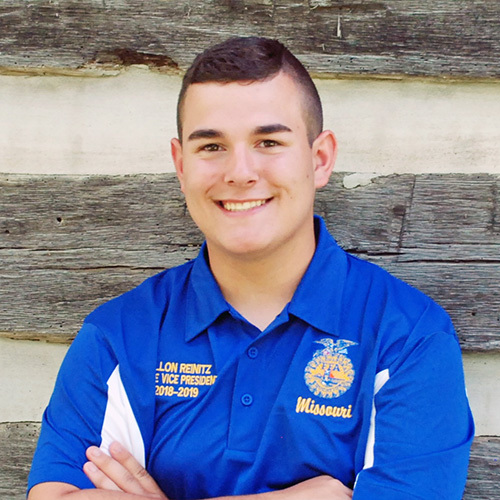 He volunteers to help Missouri FFA organize and conduct national officer candidate interviews each year. He also works with FFA members at HYMAX academy and with area officers at the Area Officer Institute at Camp Rising Sun each summer. Plus, he and his wife, Emily, enjoy working with members of local chapters to help them prepare for contests and other FFA events. Kueker advises FFA members to step outside their comfort zones. He encourages members to do that contest they do not think they can do. Additionally, he said FFA members should sign up to be on a committee to organize a chapter FFA event. He also charges members to interact with others at conventions or camps and bring back new ideas to their chapter. “You’ll never know how much you are capable of until you step out of your comfort zone,” Kueker said. Looking for a career in agriculture where you can make a difference in the lives of others? As the industry faces a national shortage of agricultural educators, those in the field share why they teach ag and why they want to see students succeed. Agricultural education teachers share a common passion — to teach students about the importance of agriculture and see their students succeed. Even though some instructors have years of experience and others are just starting their careers, agricultural educators understand their importance. They embrace the reality of a nationwide shortage of agricultural educators and know that more people need to consider agricultural education as a career. Jarred Sayre, agricultural education instructor at Milan High School, has been teaching for 22 years. Sayre wants to instill hard work, dedication, and a passion for agriculture in his students. Seeing his students succeed is one of the most rewarding aspects of Sayre’s job. Another veteran teacher, Jason Dieckhoff, has been teaching at the Cass Career Center in Harrisonville for 15 years. He also hopes to instill the importance of agriculture in his students and teach skills needed in today’s workforce. Dieckhoff helps develop youth into productive and active participants in the future of the industry by implementing a well-balanced program for students to receive the full agricultural education experience. “We need agriculture education so the future in our industry not only has the necessary set of skills and knowledge but also has the same set of core beliefs — a faith in the future of agriculture born not of words but of deeds,” he said. Despite the pleasure both Sayre and Dieckhoff find in working with students, being an agricultural education instructor often is challenging. According to Sayre, one the biggest hurdles of his job is working with students who are not as motivated by success. Dieckhoff has found that the most challenging part of his job is adapting his teaching methods to fit interests of students today. “Young teachers can relate better to high school students and are used to the technology and social media current students are using, “Dieckhoff said. Emily Reed, an agriculture education instructor at Saline County Career Center, and Rylyn Small, who teaches agriculture at East Prairie High School, are early in their agricultural education careers. Their advisors and their FFA experiences helped aid in their decision to become agriculture teachers. Reed and Small know agriculture education is important and needed. They hope to instill a passion for agriculture and teach students how to be informed. 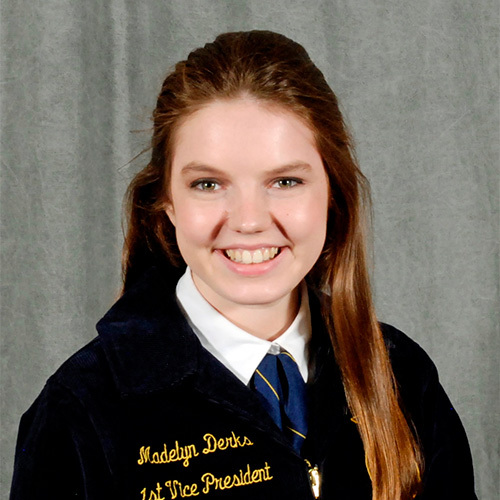 “With the world population continuing to climb, it is very important to have people who are ready to educate those who may not understand agricultural topics,” Reed explained. Despite the importance of agricultural education, the nationwide shortage has teachers concerned. Dieckhoff, Sayre, Small, and Reed know the extensive hours, demands, stress, and salary compared to other agricultural jobs are factors that likely affect the shortage. “We put in several hours above and beyond what is required of us,” Sayre stated. According to Reed, she knows how some teachers can suffer from burnout. Plus, there are more teachers retiring than young professionals graduating with degrees to fill positions. Small encourages FFA members to consider a career in the field as he said it is one of the most rewarding jobs to have. Plus, he knows agricultural education is a necessity. At FFA Camp there weren’t any fireworks exploding on the 4th of July. Still, I saw plenty of members explode into leadership. It looked different for each individual. One young lady decided she is going to audition for National FFA Chorus. She sure can make you feel America the Beautiful deep in your soul! At the same time she was working towards that goal, other kids were learning what it takes to be a servant leader in their chapter. Others were learning about careers in agriculture, too. Each and every one of these members are headed for a long road to meeting their goals. The unique goals they have set for themselves fit their personality and skill set. We each have a place we belong in this organization and the world. If we can key in on our personal path to success we will begin to see others that are walking alongside us. The partnerships we discover on these paths will last so much longer than forced friendships or “small talk” conversations. As you lead in your respective areas, keep pressing forward along side each other. Pursue your dreams whole-heartedly. Explode forward into your role of leadership. This time of the year seems it seems like everything is coming to an end. Convention, banquets and contest season have all been winding down, and it’s easy to be swept up into the lull of doing nothing. 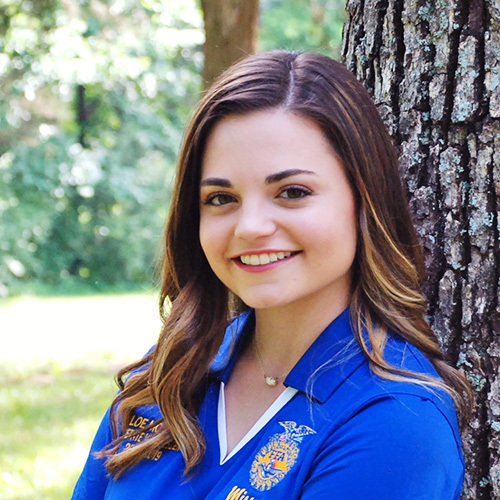 If you’re a freshman, you’re just completing your first year in FFA, and if you’re a senior, you’re wrapping up four amazing years in an organization that’s likely brought many memorable moments. Have you ever heard the saying “When one door closes, another one opens”? This perfectly sums up these four years you’ve spent in FFA. This chapter might be closing, but something new is on the horizon. Change is good. We will carry the friendships, memories and life lessons with us throughout our whole lives. You might be hanging up the blue jacket, but you will never be done with FFA because it changes your life. And when something impacts you this much, it sticks with you forever. Just because school is out and summer vacation is here doesn’t mean that we have to stop being involved in FFA for a few months. Camp, Helping Youth Prepare for Excellence (HYPE) Academy, Helping Youth Maximize their Agricultural eXperience (HYMAX) and county and state fairs are adventures full of memories just waiting for us. Ends are just the beginning of new opportunities. Enjoy the ride. “Shhhhh!” a FFA member whispered as our advisor rounded the corner of his garage and… SPLAT! His face met the cool whip covered plate my officer team prepared. Not waiting for the retaliation that was sure to occur, we took off running. Every year, my advisor hosts our annual FFA end-of-the-summer gathering. It is a time for leaving seniors to share memories with incoming freshman. More importantly, it is a time to encourage new members for the upcoming year and reflect on the past with retiring members. Summer is here and with that warm Missouri climate, comes exciting adventures of livestock shows, camps and working with our Supervised Agricultural Experiences (SAEs). As we begin our journey to Camp Rising Sun or any FFA event, we should remember our roots. Our roots are the lessons and skills that we have fine-tuned from previous experiences and events. New contests and challenges bring the willingness to open our minds to new ideas, skills and lessons. As we improve ourselves with shining new skills, it is when we combine them with what we have already learned that we become amazing. When we take our experiences from previous events and build upon them with new lessons, we can completely rejuvenate ourselves for tomorrow. Our roots are the base to what grows into a flowering and prospering plant. FFA members, I encourage you to remember your roots as you take on new experiences and learn new lessons this year!